Here is music for string trio by two composers of Jewish heritage from the same generation, whose experience of the cold hand of Nazism resulted in different fates. The Viennese Hans Gál managed to escape to Britain in 1928 and lived to the ripe old age of 97; the unluckier Czech-born Hans Krása enjoyed, if that’s the word, a brief stay of execution at the Jewish show camp of Terezin before being murdered in Auschwitz aged 44. 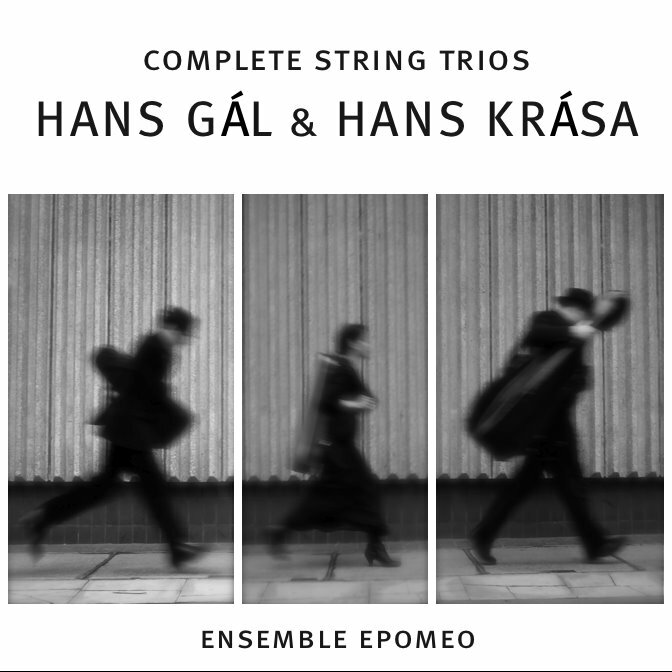 The players of Ensemble Epomeo capture the charm of Gál’s delightful neo-Classical Serenade (1932) with a sense of line and subtlety of texture. But, one feels, they could have brought more muscle to the emotional sound world of the F sharp minor Trio, with its nostalgic throwback to pre-war Vienna viewed from the sanctuary of 1970’s Edinburgh (and which in its original version included a viola d’amore). However, they certainly don’t hold back in the short Krása pieces, written during the composer’s last days in Terezin. Here they exploit the dance-of-death tendencides of the Tanec and the sense of order overthrown in the Passacaglia and Fugue (each of which dissipates into Expressionist anarchy) and a frightenly challenging end. A warmly-recorded and thought-provoking disc.